Seton Hall will be favored by at least 10.5. Kenpom.com favors Seton Hall by 11. On January 28th, Seton Hall physically dominated DePaul. The Pirates swept DePaul last season. Since the forming of the new Big East in 2014, the Jersey Boys hold a 6-3 series lead. Last time DePaul beat the Pirates was when they swept them during the 2015 season. Religious affiliation: None Specifically. Catholic. Diocesan University. One of the oldest diocesan universities in the US, under the Archdiocese of Newark. Elizabeth Ann Seton. DePaul University named the residence hall at Sheffield and Montana, Seton Hall, after her. I Use to be a Front Desk Monitor at Seton Hall on DePaul’s Campus. Sweet! Kenpom.com has them rated as the 37th best team in the nation with victories over top 35 teams Texas Tech, Louisville, Creighton, and Butler. They also have losses to Rutgers (146th), Creighton, Rhode Island (30th), Villanova, Georgetown, and twice to both Marquette and Xavier. These guys crash the offensive boards, 28th best in the nation, but 2nd best in Big East play behind your DePaul Blue Demons! They are a terrible free-throw shooting team (67.7%) which is 297th in the nation and worst in the Big East. Of course, last time they played DePaul, the Hall shot 82% from the line. Inexplicable. They shoot the 3 relatively well at 38.5% in conference play, but are below average on 2pt percentage. Defensively, in conference games, The Hall is rated 9th in conference games and the Demons are rated 4th. In overall defensive efficiency, these teams are virtually even. In this 4 game losing streak, the Pirates have gotten torched by Villanova (1.33 Points per possession), Marquette (1.22 PPP), and Xavier (1.32 PPP). Seton Hall’s offense was not atrocious in any of these games, but their defense was not good. Hey Maric, check these bad boys out! This is an extremely balanced team. The players with the highest usage do not blow me away with their offense efficiencies. However, Angel Delgado, 6’10” Senior Center, is a rebounding machine. 12th best in the nation at offensive rebound percentage and 18th best at defensive rebound percentage. He had 19 rebounds against the Demons last time. It is imperative to keep him off the board and not release him until the ball is firmly in possession. He is relentless. He is the best rebounder in Big East History. He really is. Other than the rebounds, the Demons kept Delgado in check, keeping him to only 10 points along with causing him to turn the ball over 4 times. The last 4 opponents have kept him in check, with the most rebounds being 12 against Georgetown. Eli Cain’s 6’2″ “little brother” has the highest offensive rating on the team with 119.8. He shoots the 3 point shot at 41.9%, the only elite shooter on the Pirates. His numbers have improved since the last meeting. Cain and Powell played together at Medford Tech in New Jersey for a Season. Powell killed DePaul last time with 21 points making 4 dagger 3 pointers. Desi Rodriguez is a 6’6″ Small Forward who plays both inside and outside. He had an average game against the Demons last time around. 14 points, 5 assists and 3 turnovers. Khadeen Carrington, a 6’4″ point guard, had 15 points on 6 shots and 6-6 from the free-throw line. He is their best free-throw taker. How does DePaul Matchup? Surprisingly well, thank you! If you break it down to just Big East games, Seton Hall has been trending positively on the offensive efficiency metric. DePaul is the worst in the Big East. The Hall is the 2nd best Offensive Rebounding team, while DePaul is still the best. The Pirates shoot 3 pointers at a 38.5% clip which is 3rd best in the league, while DePaul has improved to 8th best with 33.7% rate. DePaul has been doing too many unforced errors of late. They are now allowing the most steals in the conference. Seton Hall plays mostly man defense. In Conference play, the Jersey Boys are actually less effective on the defensive glass then the Chicago guys. In conference play, these two teams are virtually tied at preventing 3 point make and 2 point makes. Both are bad at the former and decent at the latter. The big difference is that the Pirates do not foul their opponents as much as DePaul does. This means that less free-throws are shot against Seton Hall. One other then, Seton Hall forces the lowest amount of Turnovers in the conference. For turnover happy DePaul, this might be a good thing. Recent trends have shown DePaul playing consistent defense, their last poor defensive game was against Seton Hall. Conversely, Seton Hall has had 4 of their worst defensive performances in a row (against 3 great offensive teams and Georgetown). Advantage: DePaul. Recent trends have shown the Demons have been playing consistent defense for long stretches. Seton Hall has been scoring well for this whole stretch of losses, and they have been losing by not stopping 3 of the most dynamic offenses in the Big East. The Pirates are feeling the pressure of slipping onto the NCAA Tournament Bubble. DePaul has strung together 3 quality performances in a row. Their defense has been solid, and their offense has been consistent for the first time all season. The resurgence has been due to Eli Cain playing above average for 3 consecutive games. Can he keep it going? As many say, ‘As Eli goes, DePaul goes.’ It will be a homecoming of sorts for New Jersey native Cain. I know it sounds crazy, but DePaul has been playing great on the road, and Seton Hall is under duress. 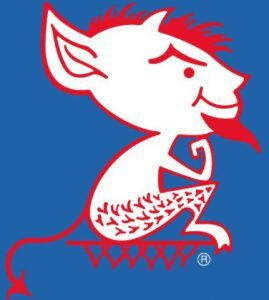 Against the spread, I’d take the Blue Demons. Straight up? Not so sure. Winnable game for the Demons. Let’s do this!